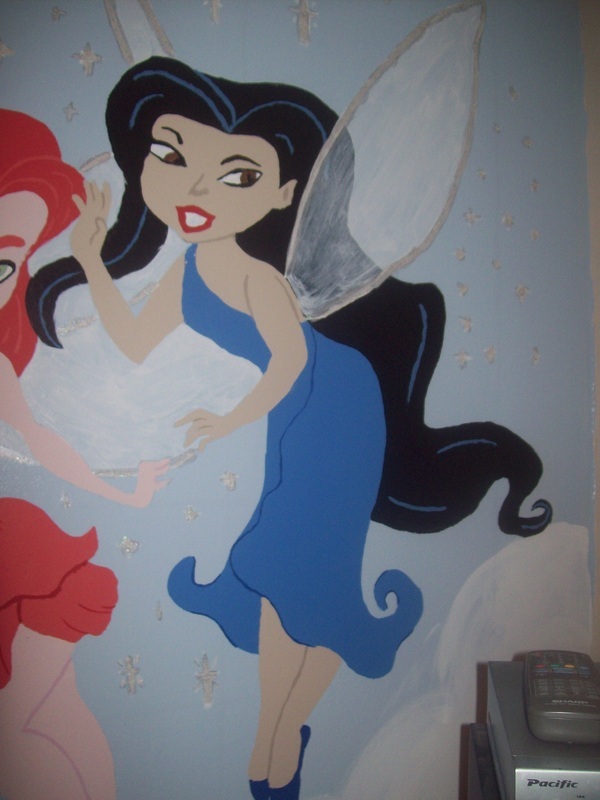 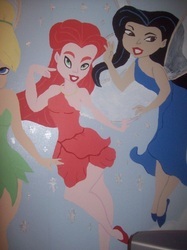 Full wall mural, wall 12ft x 8ft approx. 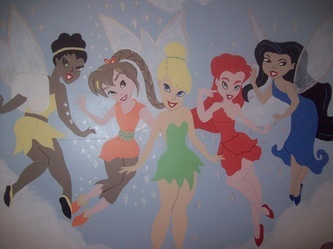 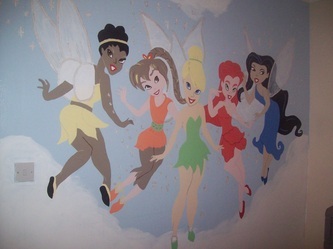 Five hand-painted fairies floating above the clouds. 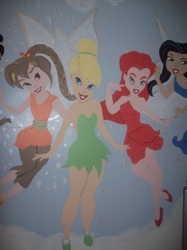 Each fairy is approximately 5ft tall, with pixie-dust around the wings!